I’ve been asked to make a case for the use of iPads in English by a member of my PLN, @learningspy (David Didau) or more specifically, how they could be used. This could turn in to a very lengthy post if I was to write my entire case for the iPad, but I’ll break it down by making this statement: All choices to do with technology in the classroom should be directly linked to the benefits that it will bring to the students and how it will improve learning. In the following seven examples of how iPads can be used in the classroom, I hope to make a case for how using these devices, learning can be made interesting, fun, relevant and powerful for the students in the classroom. I cannot take credit for all of the ideas that I’m giving here either – and where due, credit will be given. “I’ve been using iPads with my Year 8 class to record narrative writing that they have created. I had the students draft a piece of writing based on Down the Rabbit Hole by Lewis Caroll, which they recorded using the iPads. I wanted the students to see how punctuation effected the way they read because after reading the first drafts, I was none too pleased with the standard of their writing. I uploaded the recordings to the VLE and asked the class to peer assess each other’s work. Using those comments and some live assessment in Google Docs” (which can also be accessed on the iPad) “from me, they created improved narratives with more accurate punctuation and improved vocabulary. They then recorded their final drafts which we burned to discs. While the drafting/redrafting process is not unusual in the English classroom, recording and evaluating their written work in this way added a new dimension to the learning process. It ensured that every single student’s work was shared without the embarrassment that some students feel standing in front of the class. 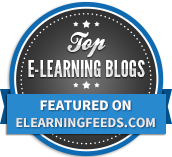 By putting the audio on the VLE, every student received feedback, which due to time constraints would not happen in a traditional classroom setting. What’s more, I could further differentiate my support by listening and focussing feedback where it was most needed. To complete the unit I wanted them to present their work effectively. They created a CD cover using drawn or found images, with their narrative writing printed up on the reverse. Giving them a physical artefact to take away that represented their effort and progress was highly motivational and also contributed to the quality of the finished work. To hear examples of some student’s podcasts, visit the link above. 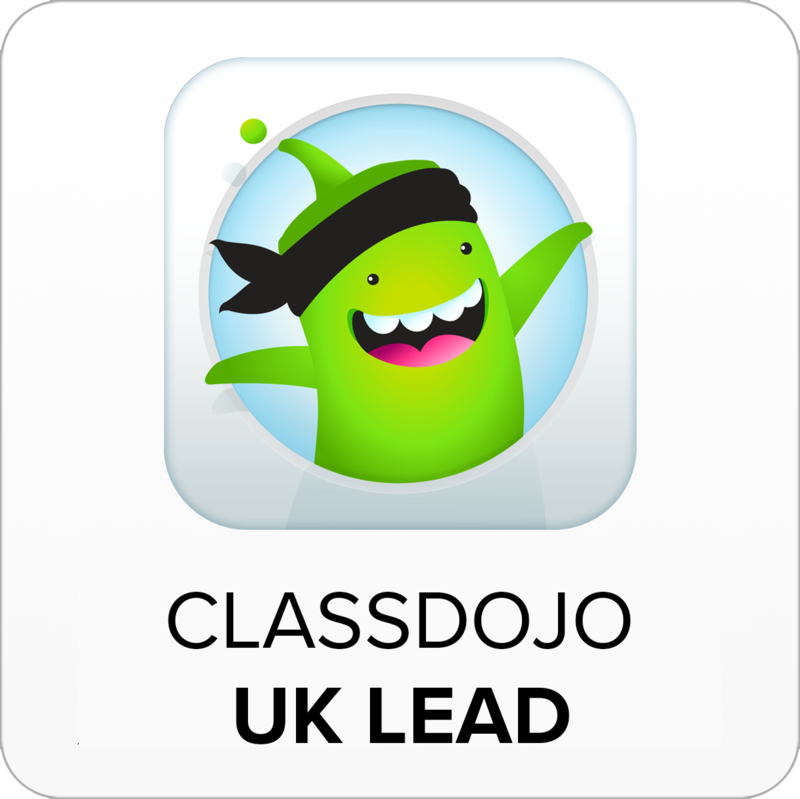 An app with a comic book feel to it, this app has oodles of inspirational appeal when asking students to create comic strips and look at the genre of the comic. Using Comic Life, students can easily and creatively, create their own comics that not only look amazing, but will inspire them to create the best that they possibly can. Comic Life comes with lots of templates too so students don’t spend their time ‘playing’ with the look of the comic, but can concentrate their time on the writing, which of course is the main purpose behind the activity. 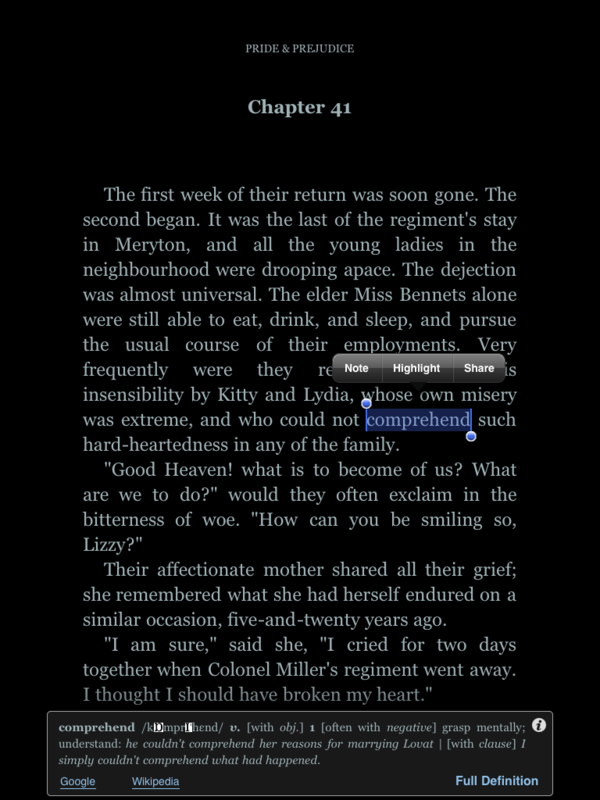 iBooks is Apple’s very similar version of the e-reader, Kindle. Offering similar features, it will too of course really enhance the English classroom. Again too, lots of classic texts can be gained for free – hundreds of free titles, which are often on the English syllabus, can be added to the iBook catalogue for free, e.g. Wuthering Heights. An added bonus of iBooks is that it has a built in PDF reader – therefore, any notes, handouts, worksheets etc that students might previously have been given on paper, can be added to iBooks for reading at any time. Many resources online are in PDF format too, by downloading them using the iPad – these are then easily viewable. This part isn’t really about a particular app, but about how the iPad can revolutionise and inspire learners to read more and more from different types of audiences. Here are just a few of the many apps that can promote reading: BBC News, Zite, Flipboard, Feedly, Taptu, Mashable, Sky News, SpringPad, Guardian, Times, Telegraph, Economist, Engadget, eduTecher, British Library, IMDB. 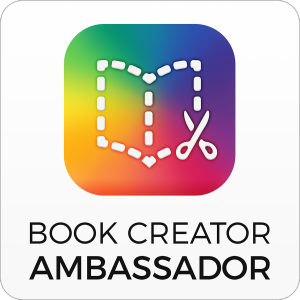 With so many free ways to read what you want, when you want – the iPad is a brilliant way of getting students to read and engage more with the world around them through words. If you’re really looking to get students to communicate then creating a blog using an iPad (although there are other ways of doing this to be fair) is a fantastic way to engage students. What makes blogging with the iPad so powerful however, particularly for students, is that with the built in features of the iPad – the two way camera, photos, clipping of online resources, etc. Blogging can be done quickly and powerfully. The power of having students writing something which can be commented upon, not just by the other members of the class, but by anyone else in the world, is a true motivator of students, to ensure that their best work gets put in to the public forum. Initiatives such as those set up by @DeputyMitchell with his Quad Blogging where teams of schools comment on each other’s blogs, provides a real audience that will definitely communicate and comment, with these comments guaranteed to come from peers. Apps for the iPad such as Posterous and WordPress, enable students to quickly set up their own blogs and then get cracking at putting their creative and reflective works online. I would love to hear your thoughts on all of this – please do so! Well done! We’ve got lots of new tweeps from @oliverquinlan & Plymouth! Thanks Julia – i thought the screencast might help people new to Twitter find out about the cool stuff that goes on and a little about how they might best access / manage Twitter too. I think Tweetdeck really helps on a desktop / laptop machine. Lovely pic! I’d love to get iPads in my school. Any ideas how to get funding? Need cash! A great list from a Primary point of view I would add I can animate for children to bring their stories to life, Show me for peer and self assessment, Epic Citadel to promote high quality speaking and listening through drama and Machinarium to inspire mixed text type writing as well as artwork, D.T. projects and music. However I find myself in the position of Janus in the iPad debate as I see many parallels to previous episodes of buying tech “because other people have them”. I have a grave concern that some primary schools are buying large numbers of them (at large cost) without necessarily a clear vision of how they are going to use them. I think that it is important that Primary schools realise that they will not be a magic bullet, they will not make poor or average users of ICT better users as pedagogies need to be secure. So I am a big fan of the iPads but at the same time greatly worried about the fact that they could end up being expensive toys in some schools. If a school buys 20 pads they are saying that they believe that they believe they will have a greater impact on standards than a TA working half a week for a year – to make the claim you need to be certain of how you are going to use them. Janus? And it’s February now too! Thanks for the comments though Bill – agree totally. Has to be done, not as a bolt on, or as an alternative to a TA in the classroom. Thanks for the heads up on Machinarium too – will be checking that out later. Love Epic Citadel for inspiring writing. Great post Mark. 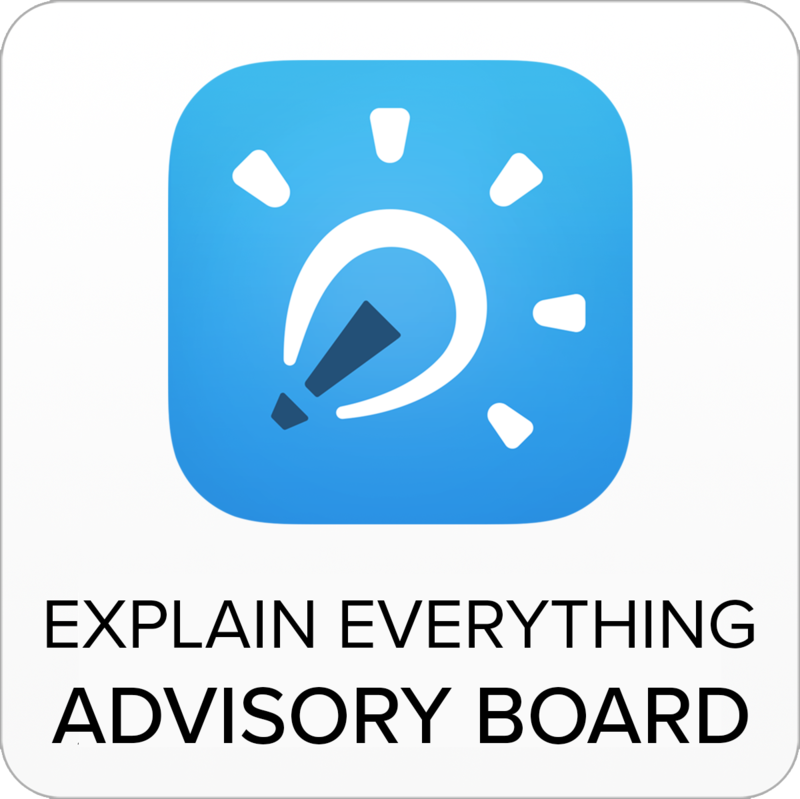 I also wrote a post some time back – 10 iPad ideas for Senior School English. http://www.kerryjturner.com/?p=894. Our Head of English uses Good Reader to mark senior school students’ work, as well as penultimate and various PDF scan, convert & splitter apps. As I teach using SOLO, I’ve found iCardsort to be a useful app as an alternative to creating hexagons. Brilliant! Thanks for sharing that Kerry. Will definitely be checking out iCardsort as a vehicle to support Hexagons. Would love to see a Triptico ‘ThinkLink’ app on iOS.